The Fiamma Kit Multi Bracket is a single 3pc bracket that is adjustable to fit the curve of the roof on most vans. 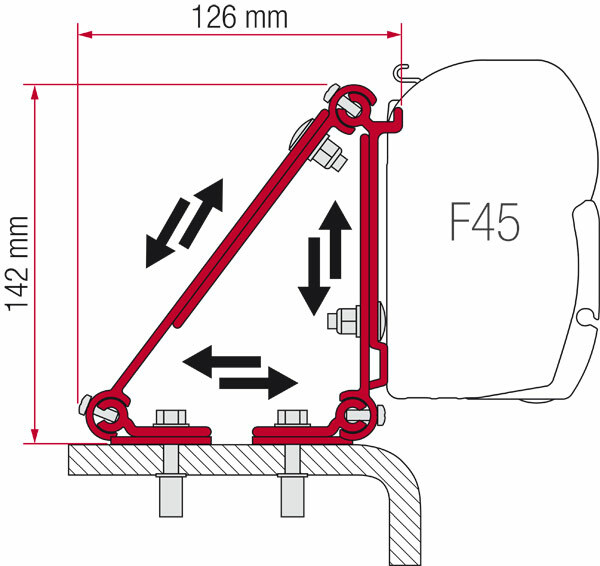 For F45S awnings up to 3.0 M, order 2 brackets. For awnings longer than 3 meters, order 3 brackets.